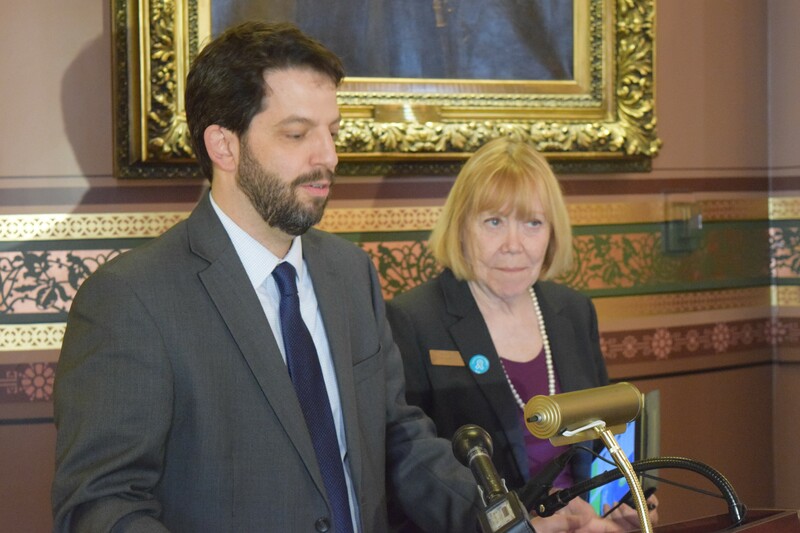 Reps. Chris Pearson (P-Burlington) and Jean O'Sullivan (D-Burlington) propose banning alcohol sales to make a point about marijuana. Reps. Chris Pearson and Jean O'Sullivan offered up a bill Wednesday that would ban the sale of alcohol. Blasphemous, right? Especially here and now, as Vermont breweries have craft-beer fans from around the world drooling at their doors. That's the point, said Pearson, a Burlington Progressive. "This is not something either of us support. It would be ridiculous," he said. It's just as ridiculous, he argued, to prohibit the sale and use of marijuana, a substance he argues is safer by many measures. Pearson reeled off a string of statistics making the case that alcohol kills more people on the roads, triggers more binge use and is more addictive than marijuana. "Marijuana, on the other hand, kills almost no one," he said. "On every measure, alcohol is far more dangerous." They might spur some talk, but they recognized marijuana legalization won't occur this year. Legislative leaders have said they want to wait for more information to develop from Colorado and other states that have waded into legalization in the last year or so. Pearson and O'Sullivan argued Vermont should seize the opportunity to be the first state in the region to tax and regulate marijuana. "If we all agree this is inevitable, why wouldn't we get on it soon and enjoy the economic stimulation benefits and the tax revenue benefits?" Pearson said. Both Pearson and O'Sullivan characterized themselves as using marijuana "from time to time."